Many, if not most, Logo Designers get this wrong. They start designing too soon, using the wrong DNA, and for the wrong audience. It’s quite simple actually. Design the logo for the intended Target Audience. Not the client, not your portfolio, and certainly not for you. Brand development and custom logo design is like giving birth. And sometimes just as painful :) You are creating this living thing, so you need to choose your inspiration carefully. The beauty of logo design is there does not have to be any guess work, you can choose the exact components (and DNA) of your new logo. The problem is all too often we have been conditioned to be told what that Brand DNA should be by the client before we get a chance to discover it on our own. And before we step into the shoes of the real people that will be judging the final product, the target audience. This defines the DNA of proper Logo Design. It is not about the client, and it’s not about you, and it’s not about what will look cool in your portfolio, it’s ALWAYS 100% about the intended target audience. It saddens and frustrates me to hear stories of designers asking the client what they want, and then without any research start designing. Unless the client has already done your research for you, they do not know what they NEED, they may have an idea what they WANT, but it’s not applicable unless the goal is to see through the eyes of their audience. I see this far too often, irresponsible designers not doing their jobs. It cheapens the profession, and reduces the impact of the final product. It’s NOT about the client, it’s NOT about what will look cool in your portfolio, it’s ALWAYS 100% about the Target Audience. Do the research, figure it out, yes you need to collaborate with your client, but you are in the drivers seat on what visual form the logo and brand will eventually take. In point of fact, it is your responsibility to ensure the logo speaks to your client’s audience. The only real tangible and actionable information you need from your client is WHO they want to reach. From there you do your due diligence and get into the heads of this group of people. Research on the core audience will provide you what is needed to create the most compelling DNA for the new logo. From this research you can create Audience Profiles that will allow you to see through the eyes of the target audience. More on specifically how to create audience profiles in a future post. 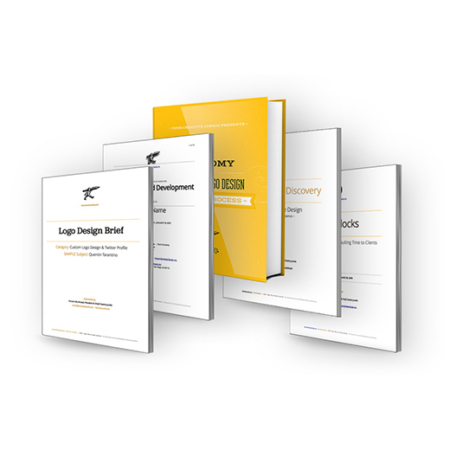 Do you ever wonder why logo design can be so challenging? It’s because we fall into the trap of being told what to design by the client. Well don’t fall for it. This one thing actually defines the trajectory of the entire project, and can negatively impact the end result. It derails the potential to create a compelling brand. As I said, it comes down to responsibility. If you’re a responsible designer and brand developer, you’ll understand that your goal is to reaching the only eyeballs that will judge the final product. Now get to work creating work that matters. Share some of your experiences with defining the DNA of your Logo projects. If you have any questions about this article, please feel free to contact me directly, or post your reply below. If this content speaks to you, subscribe to email updates for more goodies in your inbox. Thank you!